As always, if you have stayed with us before and have filled out a review, you are eligible for a 10% discount on your next stay! Let us know when you book!! Click to view our Branson vacation rental condos! Discounts are not stackable and only the largest discount will be applied to your reservation. Discounts are only available on reservations that meet minimum stay requirements and may not be applicable during holidays. Discounts are only available when booking directly through Clear Lake Condo Rentals and not available through affiliate sites. To input a promo code, click on Book Now on the page for the property you want to reserve. The next page is the Your Stay Details page. Click on the blue letters that say Enter Promo Code, found underneath where you input the number of children. 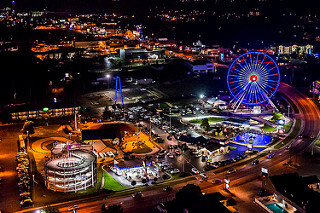 Offering 2-, 3-, and 4-bedroom upscale vacation rental condos in Branson, Missouri.